Home / Blog articles / War on Warming – Join the Fight! War on Warming – Join the Fight! 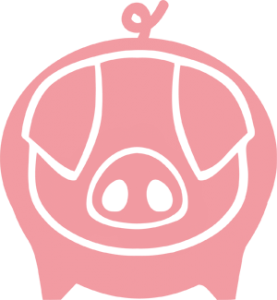 When we think about eating responsibly, animal welfare isn’t the only factor to consider. Did you know that the combined effects of all the stages of our food system, including the transportation and feeding of livestock, make food and drink the single largest source of greenhouse gas emissions in UK households? According to a 2006 report by the Food and Agriculture Organisation of the United Nations (FAO), animal agriculture is responsible for 18 percent of all human-induced greenhouse gas emissions, including 37 percent of methane emissions and 65 percent of nitrous oxide emissions. Shockingly, the methane released from the billions of animals on factory farms are 70 times more damaging per ton to the earth’s atmosphere than CO2. And who bears the brunt? Much of Africa, Central and Southern America, Southeast Asia and the Arabian Peninsular. The sad irony: it’s citizens are least responsible for causing the problem. It’s time to act! People across the globe will be marching on the eve of the international climate change summit in Paris (UN Climate Change Conference – COP21). The message is simple; we want a just economy that works not only for people but the planet, real action on climate change, clean energy, clean air, sustainable jobs and healthy communities. Many advocates aren’t optimistic about the potential outcomes of the Paris discussions. The failure of previous agreements such as the Kyoto Protocol, where the USA and Canada withdrew from the agreement, raises doubts about the effectiveness of such global summits. Moreover, a major concern voiced in the lead up to Paris is that many countries have already submitted their targets, yet these do not go nearly far enough to be effective in tackling climate change. In order for a powerful message to reach world leaders, as many of us as possible need to join in and show our support. Why not sign yourself and a large group of friends up and show that you care about your future? You can find all the information you’ll need here. If you want to go a step further, Global Justice Now have called for action in Paris on the 12th December to coincide with the climate discussions. See their website for more information (Global Justice Now). If you can’t make the March – or you want to take more action – you can fight for climate justice three times every day. Whenever you eat a meal, think about how your food is produced and distributed. Is there a better alternative? 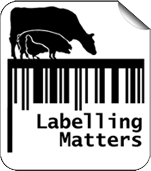 Farms Not Factories focusses on the pork industry, and we’ve created this handy labelling guide and High Welfare Pork Directory to help. Pork labelled Organic, Free Range, Outdoor Bred and RSPCA Assured has been produced in a system significantly more environmentally friendly than pork produced in animal factories. If you can, try to choose Organic – this system prohibits the use of GM food, a leading cause of environmental degradation. You can even go a step further and consider reducing your meat intake by participating in movements such as Meat Free Monday. Vegan and vegetarian diets have been proven to significantly reduce the human impact on the environment and can be just as satisfying as diets containing meat. 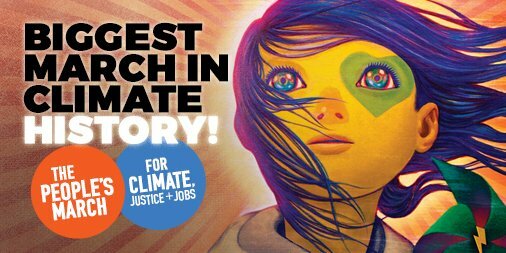 Please join The People’s March for Climate Justice and Jobs in London on the 29 November 2015 – and fight for climate justice in your everyday actions!